The best restaurant, casino, night club….most everyone has a favorite spot in Las Vegas. Sports books are no different. While some visitors will simply place a sports or horse racing bet at the hotel they are staying at for convenience, others will scope out which sports book has the best HD screens, most open seating, or perhaps the most lenient comp drink policy. All this means is that the quality of most sports books in Las Vegas is very high and it’s hard to have a bad sports viewing/betting experience in Sin City. But which sports books offer truly exceptional experiences for the Las Vegas sports fan? 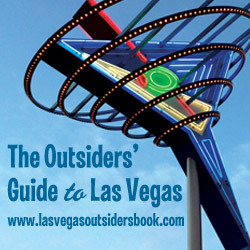 That’s where The Vegas Parlay comes in with our list of the Top 5 Las Vegas Sports Books for 2013. Brilliant HD screens and sleek seating areas all set within the opulence of The Venetian makes this sports book one of the best in town. The classiest of the multiple Cantor operated facilities gets plenty busy during big sporting events so get here early to claim a good spot. The Venetian Race and Sports Book is the only Cantor operated sports book to make our list. Sitting in the oversized leather captain’s chairs (the most comfortable sports book seats in all of Vegas) offers that particularly quiet pleasure that’s inflected into the Bellagio’s sports book space. With easy-to-get comped drinks, wonderful service, and multiple screens, The Bellagio sports book is amongst the favorites of out of town visitors and Vegas locals alike. Not just a “locals” hang out any longer, the secret is out that the South Point property caters to sports and horse racing players. This is the only Vegas sports book that is set up with completely separate areas for horse racing and sports betting – and each space is as large as most sports books in town. Free drinks here are easy, and the adjacent Del Mar Lounge adds to the options for sports viewing. The largest sports book in the world can arguably also be called the best. This massive space caters to every level of sports bettor with comped drinks and “man-cave” areas available for special guests. The LVH sports book is the saving grace of a property that is trying to regain traction after switching over from The Hilton brand. If you are a sports book fan, catching March Madness or taking in an NFL Sunday of football games in The LVH Theater is an absolute must-do while in Las Vegas. Classy and fun are two words to describe The Vegas Parlay’s No.1 ranked Las Vegas sports book for 2013. Great service, posh furnishings, and a tastefully decorated space that lives up to Wynn standards makes this sports book one of the best in all of Las Vegas. Maintaining old school standards, The Wynn is the only sports book that provides a hostess to help you find a seat during busy sports days and the connected Zoozacrackers Deli will deliver their very tasty food offerings right to your sports book seat. Just missing our list were Aria, Caesar’s Palace, and Lagasse’s Stadium – all solid choices. What do you think about our Top 5? 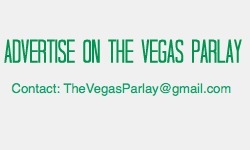 Let us know in the comment section or connect with us on Twitter @sportsbooktom or via The Vegas Parlay Facebook Page.